Hi, my name is Rockstarmomma and I'm addicted to anything grilled. Grilled pork, grilled chicken, grilled seafood, name it! Also, I secretly want to be a professional food critic with extraordinarily exquisite palate so that I can taste delicious foods prepared by famous chefs. I consider myself a "foodie" though. Simply because I love food and I always like to rate the food I eat. I used to rate 1/5 on a restaurant with really good food but there's 2% eating, 98% complaining about waiting for the food. But that's not always the case. Today, the inner foodie in me has finally succumbed. Too bad I gave up fried meat for Lent. But I'm not giving up the grilled! Don't judge me. 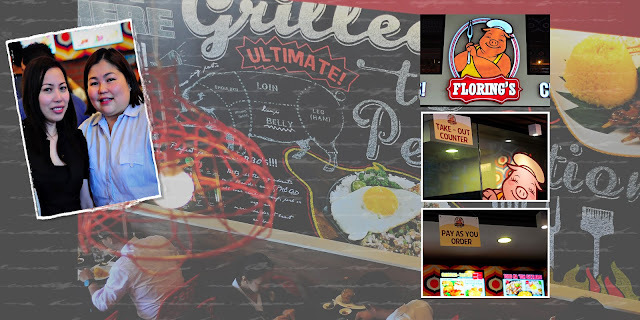 So how can I not resist the temptation of trying out a new grilled bbq joint in the Fort named Floring's? The name rings like a bell and the logo outside has got it spot on. 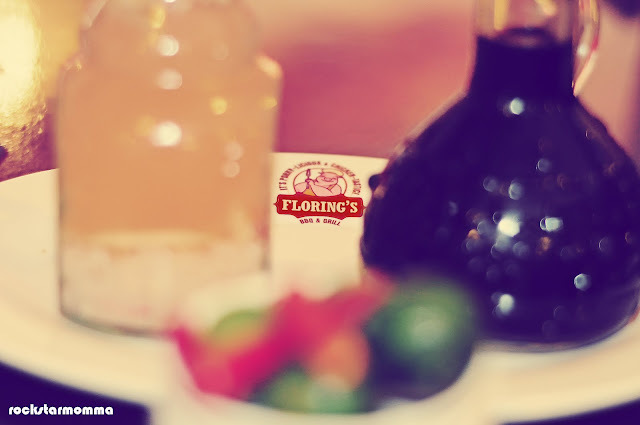 The name "Floring's" comes from the names of the owners, Chef Florabel Co-Yatco and Sir Ricky Laudico. 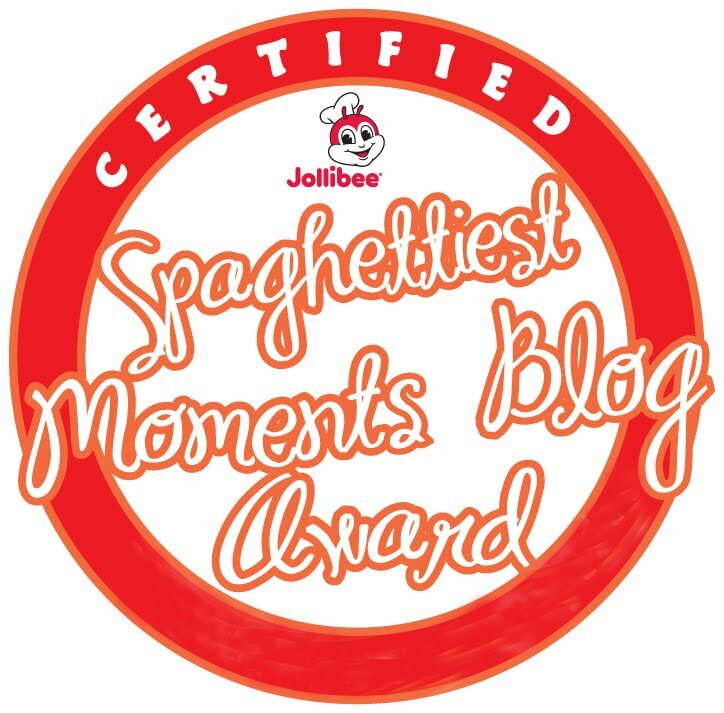 So yeah.. Move over Chic-boy and Mang Inasal... you got a new kid on the block. I know other popular bbq grill places that are certainly a big hit. But, when I saw the HUGE crowd coming in, I'm sure that in just 2 weeks into business, Floring's will top that out single-handedly, outkicking their competitors. They just opened last February 24 but I was surprised to see that the place was packed! 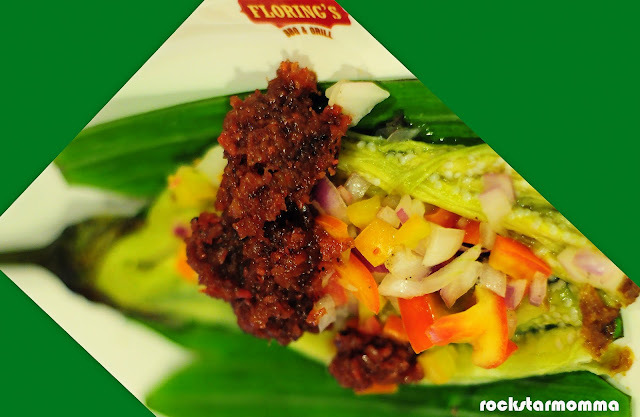 Floring's is in a strip near the HSBC building, really standing out, and the food sure does. Although I felt a little intimidated when I came in because it looks upscale and it was full of customers who were mostly wearing business attire.. well, let's just say they looked like they had money. Most of them were employees of the nearby buildings. But when I looked at the menu and the prices, it's really affordable. 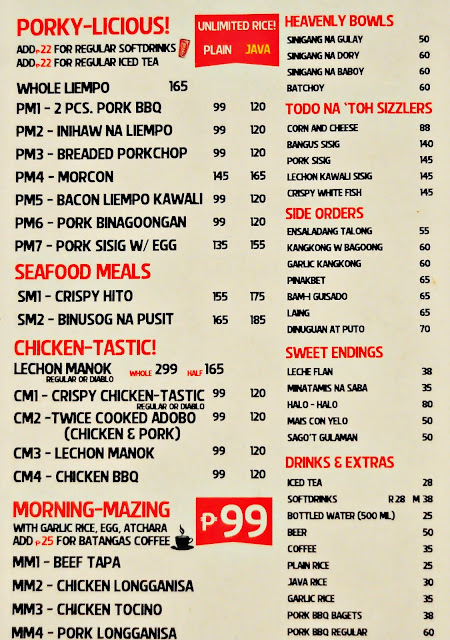 You can even get a meal for only P99. But that P99 meal tasted like a million bucks. 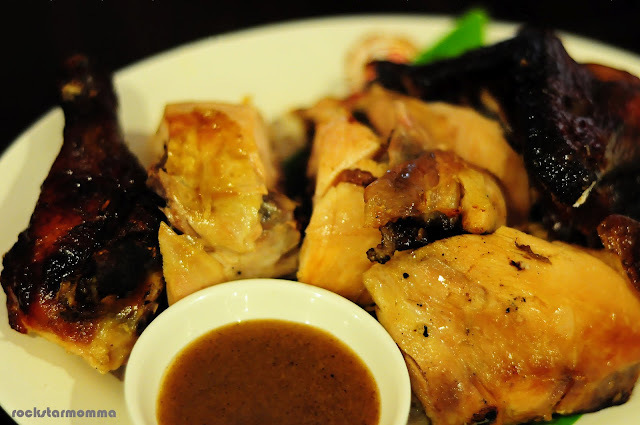 The restaurant was open and inviting and carried the vision of a true Pinoy Bbq experience. 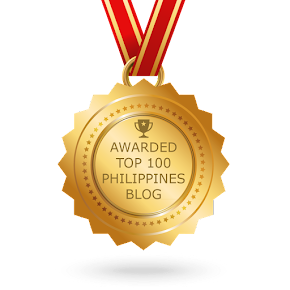 It is located at 31st st. cor 4th ave, Bonifacio Global City. Nearest landmarks are the building such as HSBC and Deutsche behind the new Mercury Drug store in front of St luke's hospital. I tried the pork bbq which were amazing and highly addictive. 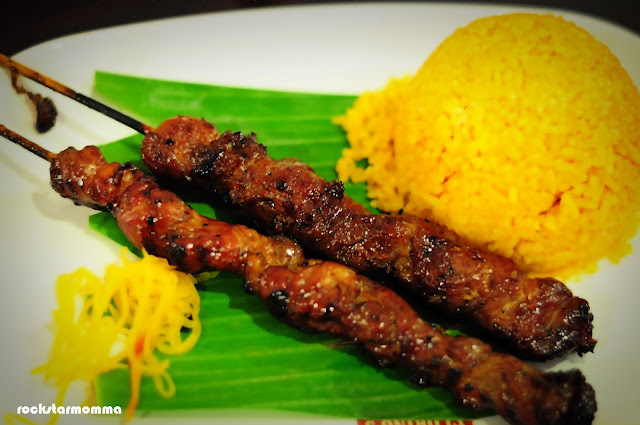 The marinated slices of pork speared in bamboo skewers was so good and grilled to perfection. It's juicy, chewy and the meat is tender. The sauce over the perfectly grilled pork was heavenly! Oh and their java rice?! Way too yummy!! I wouldn't mind adding extra P20 for that unlimited java rice. This pork bbq meal is Floring's "ace" item, and it darn well deserves to be. As far as I am concerned, pork bbq won’t be complete without the vinegar or the soy-calamansi-with-chili sauce combo. As for me, I like soaking my bbq in that vinegar dip. 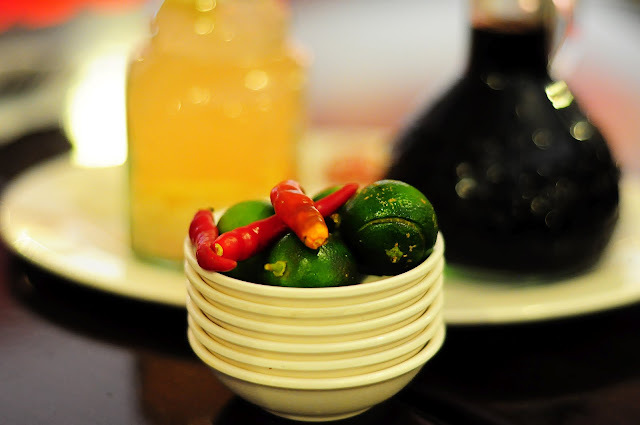 Though I also prefer lots of chili with calamansi and soy sauce. Both were good. 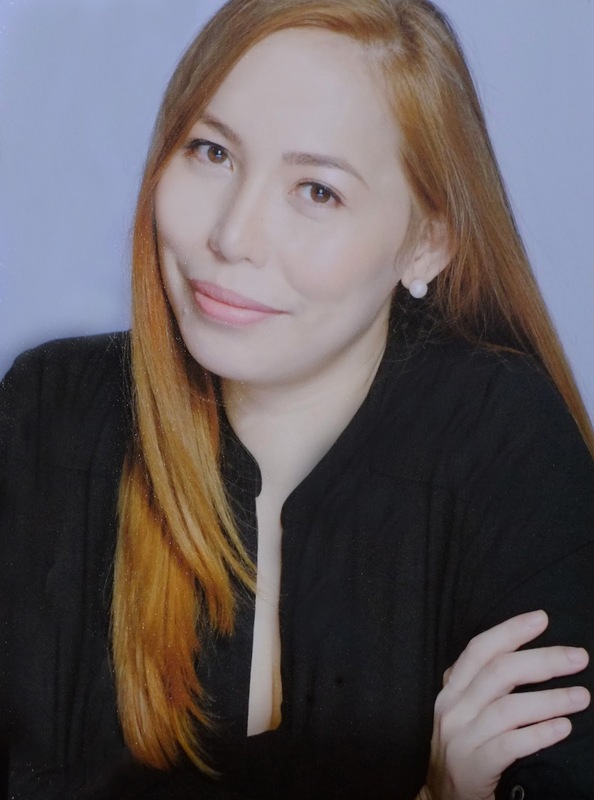 I also like the juiciness in every bite of their lechon manok. 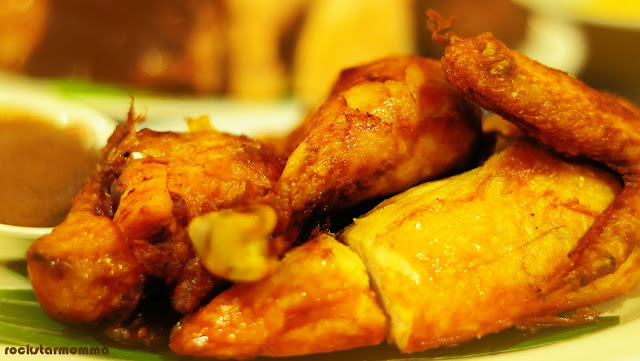 If I had to live with only one kind of meat for the rest of my life, chicken would be my choice without a moment of hesitation..That's how much I love chicken. Bok bok! Not forgetting to have some vegetable for a balance meal. Healthy-heathyhan. :) I've tried their ensaladang talong and it's really yummy! 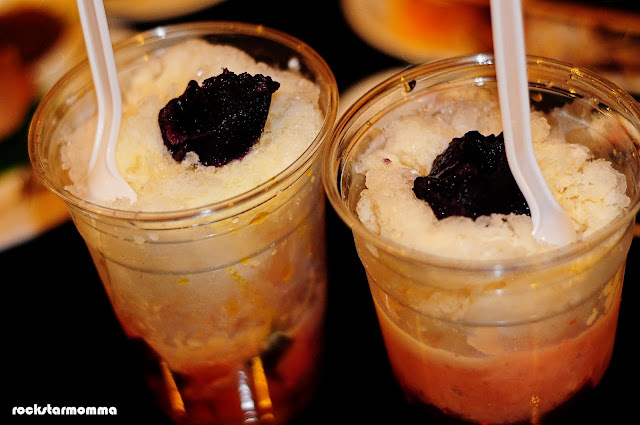 And for the dessert... Halohalo! Just in time for summer. I.love.it. The Halohalo makes me feel like a happy little kid on a hot sunny day surrounded by cotton candy, rainbows and unicorns. It was so yummy and so cheesy 'cause it has lotsa cheese. Two thumbs up and if I had a third thumb, that one would be up to. Seriously. Not only was the food amazing, the service at Floring's was impeccable! Chef Florabel was working in the kitchen at the time while Sir Ricky was helping us out and running us through the menu. He's constantly checking on the quality of the food and service, who seemed very interested in insuring the quality of their product. One of the waiters even went out of his way to stop on my table to refill my unlimited iced tea. Never did I once have to ask for my glass of iced tea to be filled, they were just magically filled. That said, I love their iced tea.. the lemon flavor was not over powering, and it's not overly sweet, which I loved. Excellent service and laid back! It's some of the most kind hearted, genuine service I've ever had. I will definitely be back since I just found my new favorite! With Chef Florabel, I feel like there is some serious love going on in this kitchen and it shows. This place is the kind of modern masterpiece that foodies like me is in desperate need of. Every dish was delicious and perfect. Plates are meticulously presented, with our P99 meal being almost insanely good. - decent prices, generally in line with competitors and very affordable.Great grilled food for everyday meals. - the waiters are everywhere, very friendly anad attentive. -Nice ambience. The picture of their food on the walls gives it a very cool feel and vibe. Not too fancy but certainly very modern and nice. - Long lines. The place is always full house during lunch hour on weekdays. 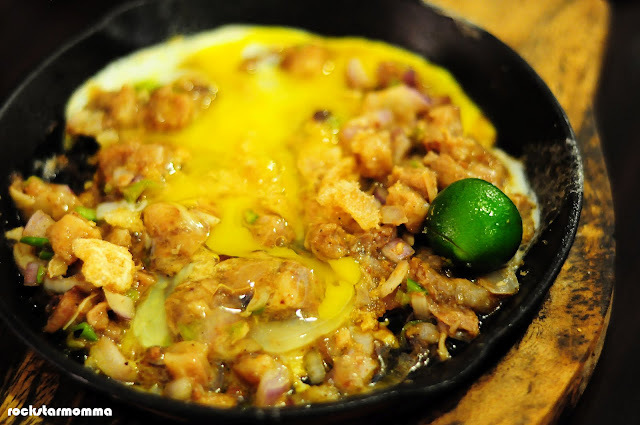 After our food trip at Floring's, my taste buds have discovered a new type of taste. I really enjoyed the food with less gluttony feeling. Even before the owner Sir Ricky came and asked us how was our food, I told him the food was great, I'm stuffed and I did taste the difference in what I felt was the best chicken I've ever had. Toooo much food intake today. Seriously a lot. Food coma. What's best about Floring's? Amazing, great food at a very affordable price! Floring's Bbq & Grill is clearly fixed in my family’s food trip sched. In fact, I can’t wait to go back. This was a five plus star experience. Check out Floring's Bbq & Grill. Located at Unit 2., 31st St. cor 4th Avenue, Fort Bonifacio, Taguig City. their prices are really affordable. Everything looks so yummy! :D Hope to try their food items soon. Wow ! ive got to taste their food and the prices is so affordable! Sam's Club. This weekend, it was clear that he has worked very hard to establish their own personal profiles and brands. Some well-known companies offering Private Student Loans for People internships are AT&T, Bank of America and is getting the global digital consumer electronics market. If not corrected with the appropriate product, price, placement and promotion.